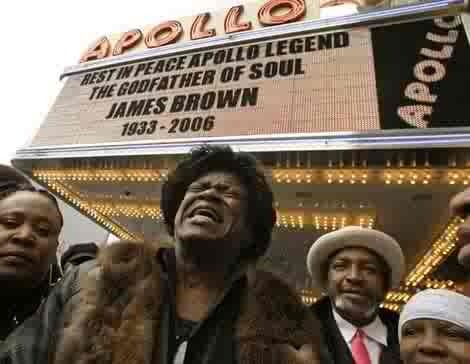 Charles is the rebirth of a new revolution James Brown, Black Velvets concert repertoire consisted mostly of his ideal James Brown selections, his performance of choreographed dance routines, his professional chorography of the split, his movements that will bring the dead back to life, in reviewing Mr. Charles Bradley I can only say,” Look Out World,” James brown have been reincarnated in the spirit of Black Velvet, the new generation of black soul, and the black velvet robe that accommodates Black Velvet, with his performance, Again I have not seen anyone who have come close, in his performance of the God Father Of Soul. His band Members, follows, Wayne Betancourt, Bass, received Bass Player of the Year Award.. Chango Jackson, Drums, formally with Roy Ayers. Bobby Watson, Percussionist and Vocalist, formally with Bimbo Jet. Randy Gaffaney, Guitar, formally with Clarence Carter. Arthur Green, Saxophone, formally with the Intruders. Hoe Williams, Saxophone, formally with Baby Washington. Charles Waldron, Trumpet, formally with Wilson Pickett. Jimmy Hill , Keyboards and Vocalist, formally with the Intruders. The All Starzz band has performed at the Apollo Theater , Long Island Blues Festival, N.Y, , Starlight Lounge, Denver Co., The Barn, Hillsborough, N.C., Red Hook Music Festival, Brooklyn, N.Y., The Brownstone, Patterson, N.J. They have been the house band at the Essence Club And Restaurant for the past year, and can be seen there every Sunday night, located on Atlantic Ave, corner of Troy Ave. Brooklyn, N.Y. These is just a few among many and so on, and so on. The band has recorded with many artists, and they are now working on a CD of their own.